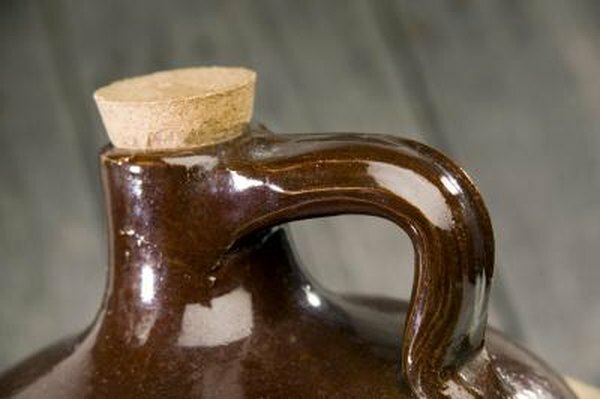 Cider is unpasteurized, unfiltered juice from apple mash -- it contains the juice with sediment and pulp from the fruit. This differs from the apple juice that you buy in the store, which is filtered to remove sediment and pasteurized to improve shelf life. Apples are a healthy, nutritious food selection and cider offers a distinctive way to take advantage of some of the benefits. Flavonoids are antioxidants found in apples and also in the cider. Antioxidants help cells fight against free radical damage. Free radicals can occur naturally in the body or come from an environmental source, such as sunlight. Antioxidants, such as flavonoids, can neutralize free radicals before they have a chance to do damage. Flavonoids may also help fight chronic illness, such as cancer and heart disease. Silvina Lotito, P.h.D from the Linus Pauling Institute points out that the antioxidants found in apples and apple products can reduce risk of type 2 diabetes and thrombotic stroke, as well. One advantage cider has over apple juice is the pulp. Apples are an excellent source of dietary fiber. You lose this benefit when you drink the juice, because the fiber is in the meaty part of the fruit. Cider offers pulp and sediment that will contain fiber. Drinking apple cider can help increase your daily dietary fiber intake to improve digestion and lower blood cholesterol. Fiber also helps you feel full and may suppress the appetite. Apple cider offers some nutritional value; specifically, it is a high source of potassium. MyFitnessPal reports that one commercial apple cider contains 190 mg of potassium per serving. Total calories are around 120 per 8-oz. glass. This includes 15 mg of sodium, 26 g of sugar and 28 g of carbohydrates. Cider provides 4 percent of the recommended daily allowance for vitamin C and iron. The Centers for Disease Control and Prevention recommends that you eat between three and five servings of fruits and vegetables a day. A glass of cider would count as one serving. Some believe that apple cider vinegar can help control blood sugar and appetite, however these claims have not yet been thoroughly investigated. The vinegar is apple cider that has been allowed to ferment. It offers health benefits because of its nutrient profile, which includes iron and potassium. Consuming iron promotes red blood cell function, while potassium protects you from high blood pressure. Massachusetts Department of Agricultural Resources: Apple Juice and Apple Cider: What is the Difference?